As member's of Ouzo FC travel the World, they represent the club wearing their infamous "Ouzo Gear". 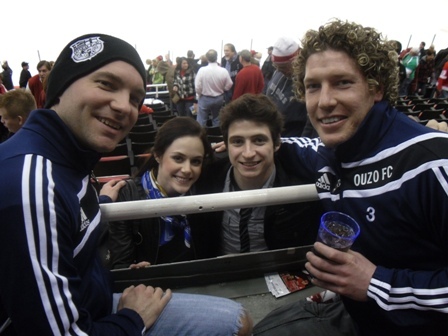 Celebrities see the Ouzo FC colours and request a photo with their favourite Ouzo player and thus Celebrity OUZO was formed. 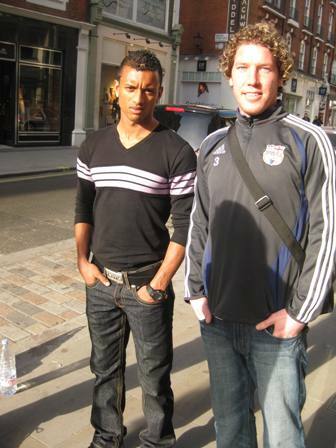 Stu Fletcher meets Nani (from Manchester United) in London! 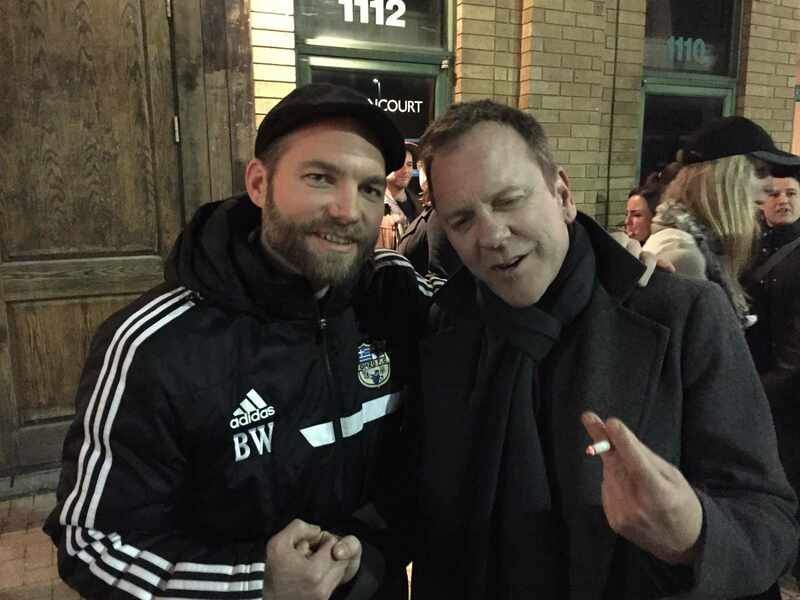 JAck BAuer joins Ouzo Member Behn Wurthman at the Mancity supporters bar in toronto. The affable Canadian was offered a try out with OUZO FC but as he only drinks Jameson's he had to respsectfully decline his offer of membership.